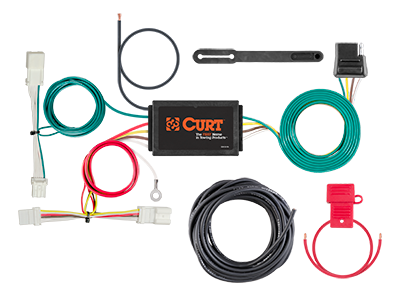 CURT custom wiring allows you to outfit your vehicle with a standard connector for plugging in trailer wiring. Each T-connector is vehicle-specific and plugs into existing wiring without any splicing required. Our custom wiring is also thoroughly tested for reliability.